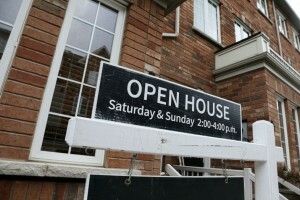 At any one time, the GTA real estate market can be impacted by several factors. While something as broad as the economy will have a direct impact, there are other factors driving or impeding a market that tends to receive less attention. To understand what can cause changes to the GTA housing market, it’s best to take a holistic approach and look beyond the obvious. Demographics breakdown a population based on factors like age, gender, and income. Housing prices and demand can shift due to these and other key demographics. One example of this is the impact that baby boomers have as they venture into retirement. Demographics can also shift based on the positive effects of immigration. As more people arrive in Canada they tend to settle in peripheral areas of a city, which in turn, increases the value of those markets. This is especially true with a city like Toronto, where the cost of housing and living can be too high for many families or new Canadians. The GTA is no stranger to Government intervention to cool the market or to reduce the risk for lenders. The 2016 stress test and the recent interest rate hike by the Bank of Canada are two examples of regulating bodies stepping in to incite change. Government intervention can come in the form of tax credits or subsidies designed to stimulate the market. Also, any changes to the rental market can be a sneaky way to boost or slow the housing market. When the Government gets involved, the GTA housing market tends to experience a change in either supply or demand. The GTA is constantly growing, attracting people to its wealth of properties and economic opportunities. As the population grows and diversifies, new infrastructure is built to accommodate. The TTC’s recent expansion to York University is one example of this. As infrastructure evolves, areas become more accessible and attractive, increasing property value. At any given time, there are a lot of factors impacting the GTA housing market’s value and its investment potential.